Paracord is extremely versatile and can be used for making many useful tools such as paracord bracelets, monkey fists, and over 80 practical and survival instruments. 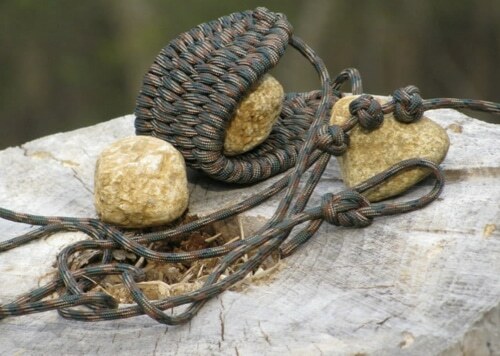 In a survival situation, a paracord rock sling can come in handy for protection and even for hunting small game. Plus, you can always unravel the several feet of paracord and use it in numerous ways in an emergency situation. Use the cord to die down items, make a ladder, replace a shoelace, secure and animal, and the list goes on and on. There are hundreds of ways in which paracord is helpful.